DULUTH, Minn.--(BUSINESS WIRE)--ALLETE, Inc.’s (NYSE:ALE) Board of Directors has elected Bethany Owen President of ALLETE. Owen, 53, has been with the company for more than 16 years and will report to Al Hodnik who remains Chairman and CEO of ALLETE. Today’s announcement follows an extensive internal executive development process within ALLETE and strategic succession planning by ALLETE’s directors. 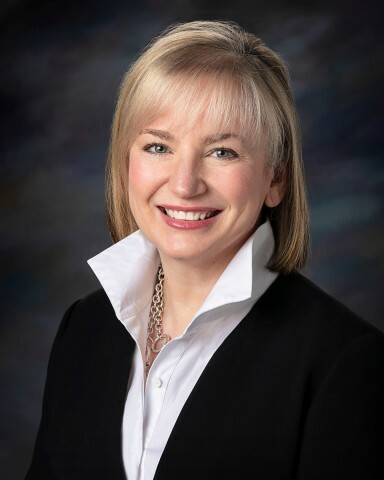 In her new role, Owen will be working in close partnership with Hodnik to oversee further formation and execution of the company’s growth strategy, as well as oversight of its five operating divisions, Minnesota Power, Superior Water Light and Power, ALLETE Clean Energy, U.S. Water Services and BNI Energy. In Owen’s most recent role with the company, she served as ALLETE senior vice president and chief legal and administrative officer since 2016 with overall responsibility for the company’s legal, information and operations technology, cyber security and human resources departments, while working closely with ALLETE’s Board of Directors on governance matters. That recent experience complemented significant operating experience gained through leading and working directly with ALLETE’s subsidiary businesses. In 2010, Owen became President of ALLETE’s Superior Water Light and Power utility, based in Superior, Wisconsin. While serving in that role for more than six years, she led strategy development, operational improvements of the electric, water and gas utility including a multi-million dollar investment in new infrastructure to improve safety and reliability, and other measures to enhance the customer experience. In 2014, Owen added leadership of Information Technology Solutions to her responsibilities and was named Vice President-ALLETE. Owen started her career at the company in 2002, as an attorney in the Legal Services Department. In 2009, she was promoted to director-transmission regulatory compliance and business support, where she led the development and implementation of NERC and FERC compliance program initiatives, and was directly involved with Minnesota Power’s investment in the CapX2020 transmission initiative, and a variety of MISO transmission tariff issues. Prior to moving to Duluth and joining ALLETE, Owen worked for four years in the United States Senate in Washington, D.C., with the U.S. Senate Committee on Rules and Administration and in the Office of former U.S. Senator Richard G. Lugar of Indiana. She also gained considerable experience in the telecommunications and food industries, holding positions as legal counsel for various public and private ventures after receiving her law degree from the University of Minnesota Law School. She has served on a variety of community and non-profit boards, including most recently, the Duluth Superior Area Community Foundation, where she serves as vice chair of the board of trustees. DULUTH, Minn. – ALLETE, Inc.’s (NYSE:ALE) Board of Directors has elected Bethany Owen President of ALLETE.